Jeffry Bonner hit well in this July 1989 game for Clinton, but he couldn't seem to push any runs across. But he wasn't alone in his frustration. It seemed like nobody else could, either. That's because this game between Clinton and the Waterloo Diamonds went 25 innings. Bonner stayed in for the long haul. He got 10 at bats for Clinton in that game, picking up three hits. He didn't score and he didn't knock in any runs. As for Bonner's career as a whole, that didn't end up being long. That was his first professional season. He got into just two more. 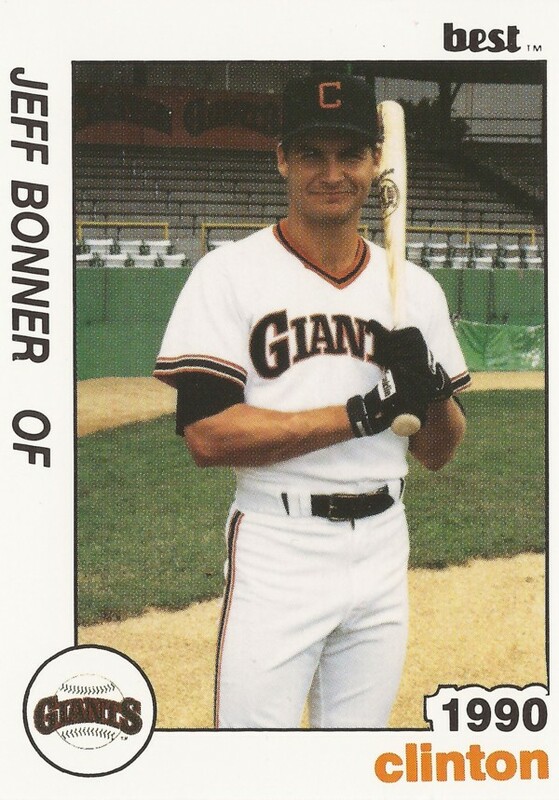 Bonner's career began that year in 1989, signed by the Giants as a free agent out of his native Maryland. 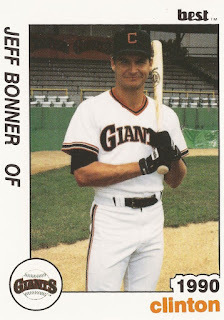 Bonner played his first year for single-A Clinton. The outfielder got into 117 games for the club, hitting .233. He knocked in 32 and stole 17 bases. He returned to Clinton for 199. In 78 games that year, his average fell to .214. He had 20 RBI and 13 stolen bases that year. For 1991, he moved up to high-A San Jose. His average, though, remained about the same. It came in at just .217. He hit his first professional home run that year, but it also turned out to be his last. That season was his final season as a pro.